Ouyang Xun (歐陽詢, 557-641), courtesy name Xinben (信本), was a Confucian scholar and calligrapher of the early Tang Dynasty. He was born in Hunan, Changsha, to a family of government officials; and died in modern Anhui province. Ouyang Xun was a talented student who read a great deal of classics. He served under the Sui Dynasty in 611 as Imperial Doctor. 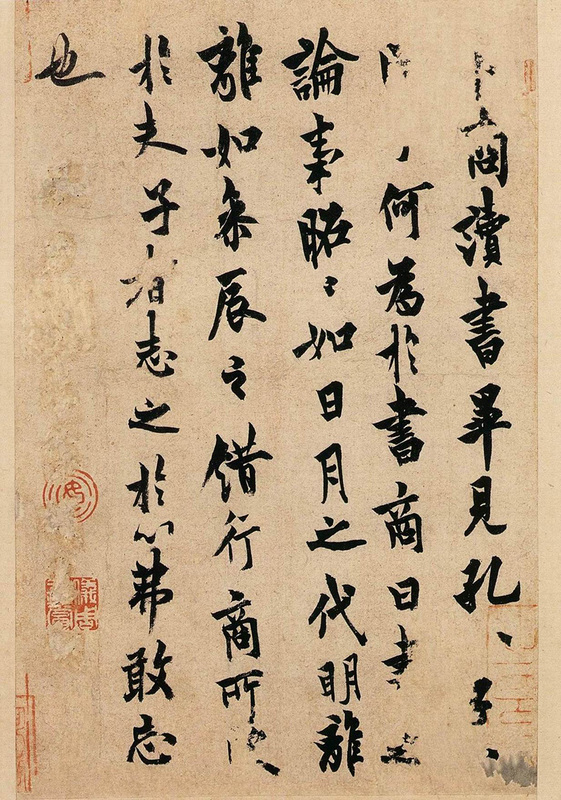 During the Tang Dynasty, he was a censor and scholar at the Hongwen Academy, where he taught calligraphy. He later became the Imperial Calligrapher and inscribed several major imperial steles. 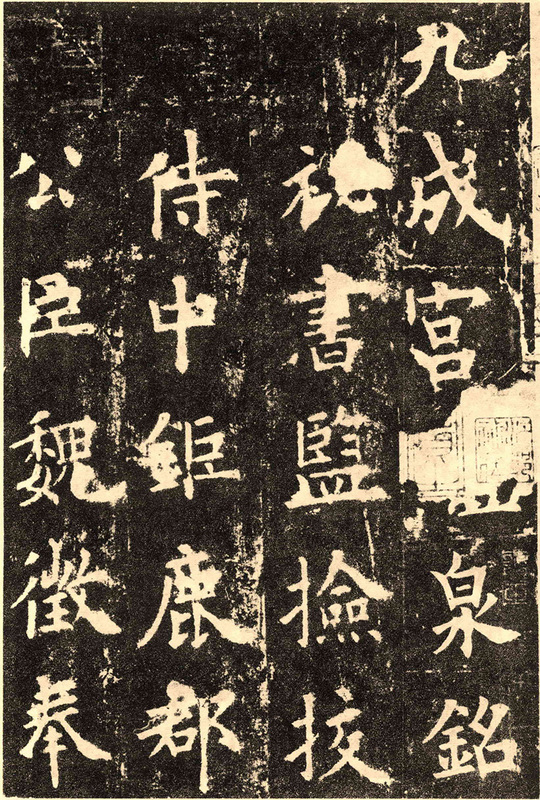 One day, during an outing with his friends, Ouyang came upon a stele inscribed by Suo Jing (a famous calligrapher of the Jin Dynasty), and felt the inscription was really mediocre. 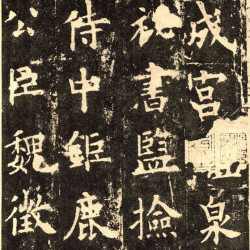 However, he believed there must be something outstanding about the stele, since Suo was hailed as a great calligrapher. So he stood for a long while in front of the stele, studying the characters and strokes with utmost care. He went on to explore the stele for three days, and finally realized the secret of using a brush, hence further perfecting his calligraphy. 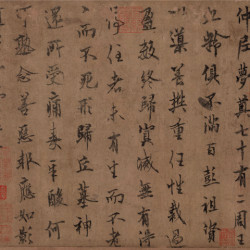 Ouyang Xun’s calligraphy, largely kaishu (regular script), was known for its sense of order and structure and was called “Ou Style” by later generations. Along with Yu Shinan, Chu Suiliang and Xun Ji, he became known as one of the Four Great Calligraphers of the Early Tang Period. 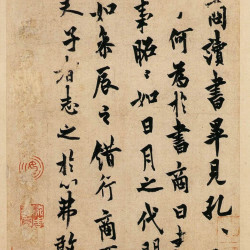 His regular script is also regarded as one of the top four in the Chinese history. The other three are Yan Zhenqing (顏真卿), Liu Gongquan (柳公權) and Zhao Mengfu (趙孟頫).